Our Junior Development Program is built as a foundation of progressions. There are several levels in the program, each offering a more challenging set of skills, so as the child masters one level they progress to the next. Our program has a complete recreational and competitive pathway, including 10 & under, middle school, high school and our Tournament Training Program. Start young, play for a lifetime of fitness and health! 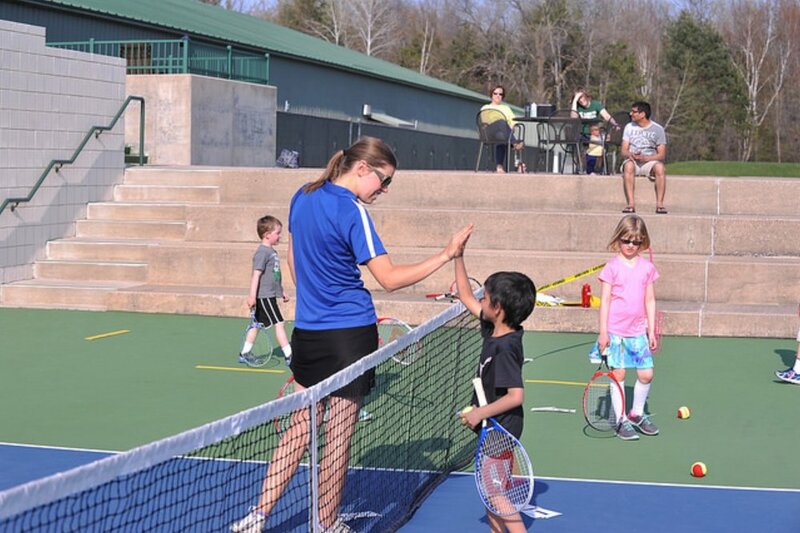 Tennis Whizz, our national program for preschool-aged children, will provide your child with a unique setting to learn balance, agility, control, coordination, and interaction with a coach and other children. These elements combine seamlessly to give your child not just an understanding of tennis, but a new range of athletic and social skills. Whether your child has just discovered tennis in high school or has been playing since they were in diapers, we have the class for you! Contact us to find out which of our Green and Yellow Ball classes would be the perfect fit for your child! This training program is designed for competitive juniors ages 11-18 that aspire to play college tennis and Midwest and National USTA Tournaments. These classes are rigorous and focus on strong work ethic, discipline, tactics and being able to execute under pressure in order to take their game to the next level. Contact us for more information or to register. Our facility hosts over 30 tournaments a year, including Midwest and National junior tournaments, collegiate and high school contests, and annual adult tournaments like The Midland Smoker and The Pig and Pit.